This Nuclear Biological Chemical protection suit is Brand New and Genuine NATO Issue in DPM. This charcoal lined NBC Suit includes a NBC, zipped, Smock and one pair of NBC Trousers. 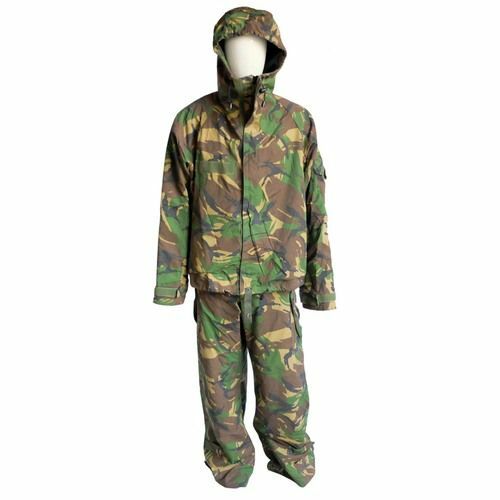 The kit includes Jacket and Trousers only which are both NEW & UNUSED. These are genuine dutch military suits.